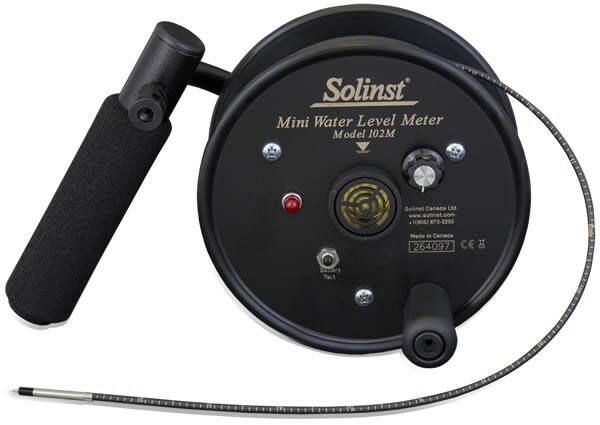 The 102M Mini Water Level Indicator is a compact meter in 80 ft and 25 m lengths. 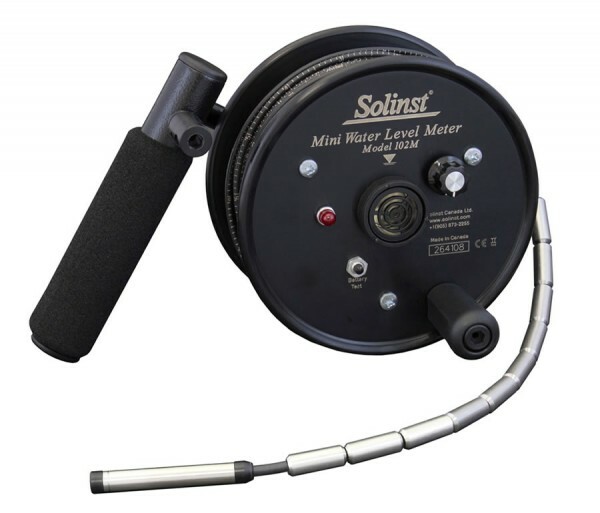 The reel is light-weight and fits easily into a backpack or a mini carrying case. The cable is marked every 1/100 ft or each millimeter, with a choice of a P4 or P10 Probe.